The Roman Civilization started in the Italy, south of Europe. It is believed that Etruscans, a tribe from Asia Minor had settled down in the western part of Italy. It is said that Romus and Romulus had built the city of Rome in 753 BC. From 753 to 509 BC, Rome was controlled by a monarch. After that, it became a republic. Roman society was divided into two groups- Patricians and Plebeians. They Patricians enjoyed political, social and economic privileges, but the Plebeians were exploited by the Patricians. After 200 years of continuous struggle, Plebeians forced Patricians to surrender and Law of Twelve Tables was enforced. This guaranteed the right to equality. After that, the roman supremacy spread all over Italy and there was political unity in the country. A war broke between Rome and Carthage, a kingdom in the northern part of Africa and it lasted for a century from 264 BC to 164 BC. 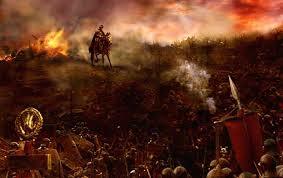 There were three different wars which were known as the Punic Wars. The second was known as the Hannibal war. After Rome destroyed Carthage, they had absolute lordship over the Mediterranean region. Rome was a rich country then. The life of people became luxurious. With the extension of the empire, social inequality also increased due to which peace and order could not be maintained. After the civil wars, the dictators came into power. Pompey, Julius Caesar and Crassus were the main dictators. After the death of Crassus, there was a rivalry between Julius Caesar and Pompey. Julius Caesar defeated Pompey and became a permanent dictator. 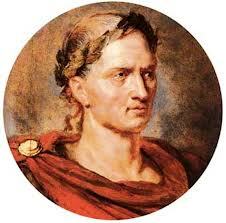 Julius Caesar built the Roman Empire by conquering almost all the countries of Europe. Besides, he issued a calendar. Due to all these reasons, he is called a great man. In 43 BC, he was murdered by rivals. As a result, a civil war began and the civil war lasted for 14 months. Augustus Caesar came to power and he became the first emperor of Rome after it became an empire. He ruled for 17 years from 31 BC to 14 BC. His reign is known as the Golden Age of Rome. He expanded his empire and strengthened his army. The Roman empire came to an end in 500 AD after the country was invaded by the German tribe called Huns and the Turkish tribe called Turks. Father was the head of the family and everybody had to obey his order. Women were deprived of political rights, but there was the provision of education for them. Slavery system and divorce system was prevalent. Rome was an agricultural country. The farmers grew crops like wheat, barley as well as reared cattle. Transport and sea transport had developed. The Roman civilization started in the Italy, south of Europe and was controlled by a monarch from 753 BC to 509 BC. Roman society was divided into two groups- Patricians and Plebeians. A war broke between Rome and Carthage, a kingdom in the northern part of Africa and it lasted for a century from 264 BC to 164 BC. People of Rome Rise of the dictators and their reforms. Father was the head of the family and Women were deprived of political rights but there was a provision of education for them during The Roman Civilization. What was the reason for the outbreak of war between Rome and Carthage? What was its result? The struggle and war between and patrician and the Plebeians ultimately ended by the empowerment of the Plebeians, and with a consensus and unity and whole Roman Empire flourished with a flower. So they attacked and captured Italy. Before the tried to attack over Sicily cartage disagree with the intention of Rome which led them to a serious of War which was even called 'the prime war'. This war was fought for three times. 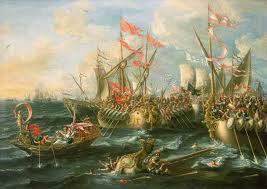 The powerful Romans appeared to be over the Carthaginians. The Carthaginians were defeated and as a result they were made slaves too. A powerful northern African state had to decline along with the victory of Rome which gave rise to the great ruler Julius Caesar. What such greatness did it make the Augusts Caesar's rule the golden age? Different political development had given to Julius Caesar. But soon his rule was called the dictatorial rule and made him dead. Then a passage for the rise of Augustus Caesar was paved on. He had taken on the right of ruling over Rome. The number of remarkable works was executed by him during his ruling tenure 44 years. The judicial system was reformed right and capable persons were held for administrative work. For the decentralization of work, the municipality and provinces were made autonomous. The Roman city was made rich in art, culture and architecture. People were given the chances in the form of development and others. The status of law the made stronger with introducing and developing three types of law the civil law, law of people and the Natural law. All these things have made his rule and a golden age. Despite many challenges, he ordered something. How has the Roman Civilization contributed to the world? The country Rome has been greatly changed now. It faced with so many up and downs when it was in the process of getting strong. 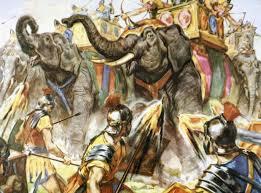 It has faced the war with cartage named as 'The Punic Wars.' Even though, a gradual change was made with the contribution of Julius Caesar. He unified a vast territory and made the Roman Empire. After his murder, his nephew called Augustus Caesar became the ruler who brought a great realm of physical, legal, administrative development. Rome was strengthened by a rich change in art, literature, culture and architecture. Peace and prosperity were brought in the country. A great strong foundation of law was made so as to give justice and order, rule and order, rule and law in the country. In such an ancient age, the pioneer ship led by him made is period a golden age. This was certainly a positive message to the rest of the world. Explain the social and economic condition of ancient Rome. The country Rome got a great identity later. The same Rome was transformed into a developed from which, a pride of whole Europe today is known as Italy. The ancient civilization of Greek left so many impacts in the sector of science, Philosophy, democracy, Literature etc. Rome couldn't be left unaffected by such great impression. Anciently, Roman society had clearly been divided into two groups or races called the patricians and the Plebeians. The society had been dominated by the patricians over the plebeians. The politicians were privileged, whatever rule they made used to become a way to dominate the plebeians. They had approach to the state affairs and became a tool to exploit over the plebeians. The extreme exploitation made the plebeians rise against the patricians which brought conflict between two races. The Plebeians struggled for their rights and the patricians were ultimately compelled to share the social-political rights called 'Twelve Tables.' This led to the nation unity and overall development of Rome. On the other hand, the ancient Rome hadn't got the remarkable economic condition. 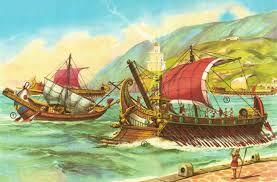 It spent a lot of money during its Punic wars which were fought for the three times. When Julius Caesar came to power, he extended a large territory in Rome. After his death there was a short term anarchy but again the reign period Augustus Caesar brought a remarkable change in all the sectors the models of Julius Caesar, who had improved agriculture, reduction of taxes, action against the corrupt officials, improvement of the coinage system etc. In the economic sector, Augustus Caesar further accelerated the economic development by developing the bridge, roads, public buildings, theaters etc. With the state of peace, he developed, there was stability which disturbed nothing at all for the development of the country. As a part of economic development, trade sector was promoted. People got the good atmosphere to promote their economic activities. Roman society was divided into______. Whose reign is known as the Golden Age of Rome? Julius Caesar is called a great man because ______. ______ was the head of the family in Roman Civilization. The roman civilization developed on ______. What happened between Patricians and Plebeians? Punice ward refer to war between Rome and which country? Who defeated the Roman Empire? why it is called golden period? Any Questions on 'The Roman Civilization '?